This post details steps-by-step how to remove and install the wiper motor in some Toyota-made vehicles, such as the Corolla, Matix or Pontiac Vibe and possibly more, made from 2009-2013. 1) Mark the position of the wipers by applying tape. This is important to aid in re-assembly. 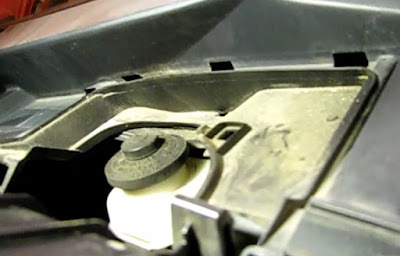 2) Remove the protective plastic caps covering the wiper arm nuts. 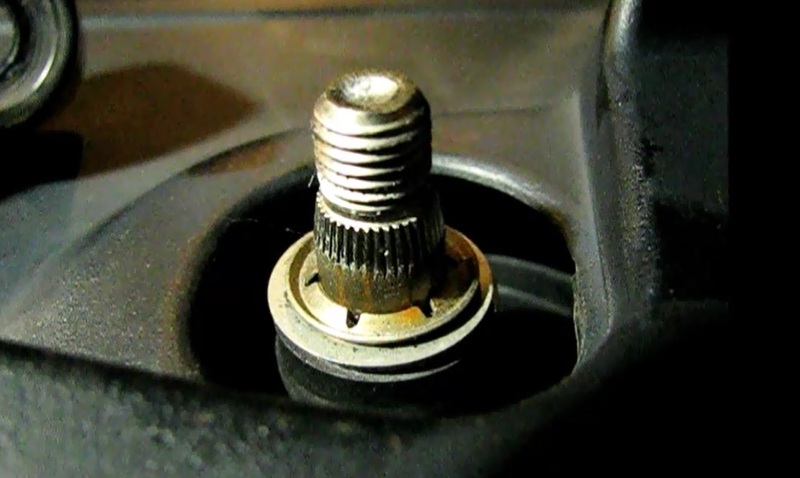 3) Use a 14mm socket and 3/8" ratchet to remove the wiper arm nuts. 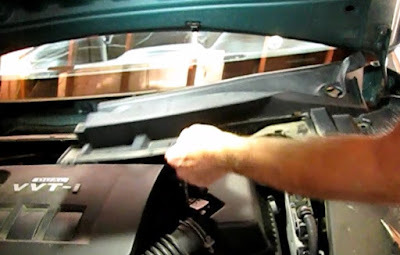 4) Remove the wiper arm. Gently tapping with hammer on the end of the stud may jar them loose. 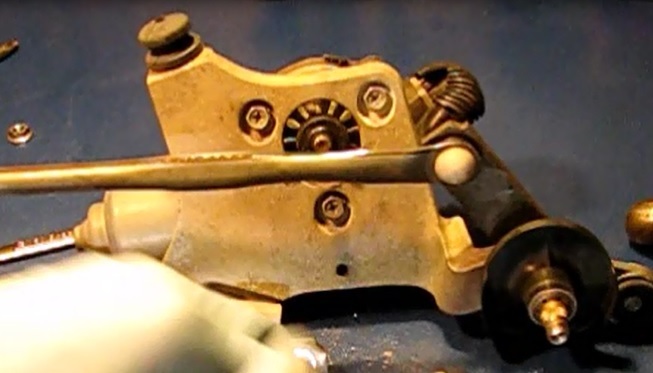 Protecting the stud threads with a nut is a good idea when tapping. 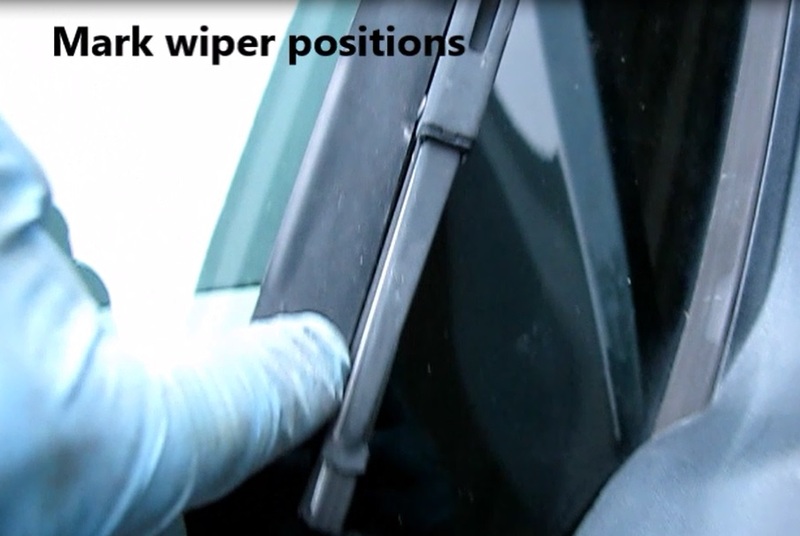 Sometimes a wiper puller will be needed. Note that the two arms are different. The passenger side arm is curved at the bolt end. 5) Remove the left side black plastic part of the wiper cover. The cover is in two pieces. The left side piece will come out first. There are panel fasteners at each corner that must come off. Push down in the middle of this two part fastener and the pry up to remove the outer part. Now jerk upward to dislodge the panel. 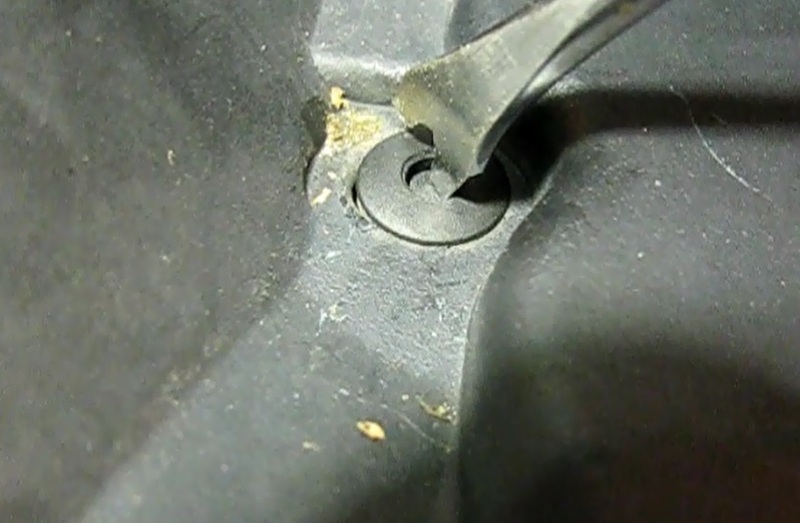 There are fasteners at intervals along it's length that are molded into the underside of the cover. Remove the small cover that is over the brake fluid reservoir. Unsnap the weatherstrip from this cover and to the right end of the right end cover. Then the longer left side cover can be removed along with the entire weatherstrip. 6) Remove the right side cover. Simply unsnap the built in fasteners and pull it off the wiper assembly. White/black stripe: 0V, Black: 12V. A high signal on the black wire is needed to energize the low speed windings in the motor. 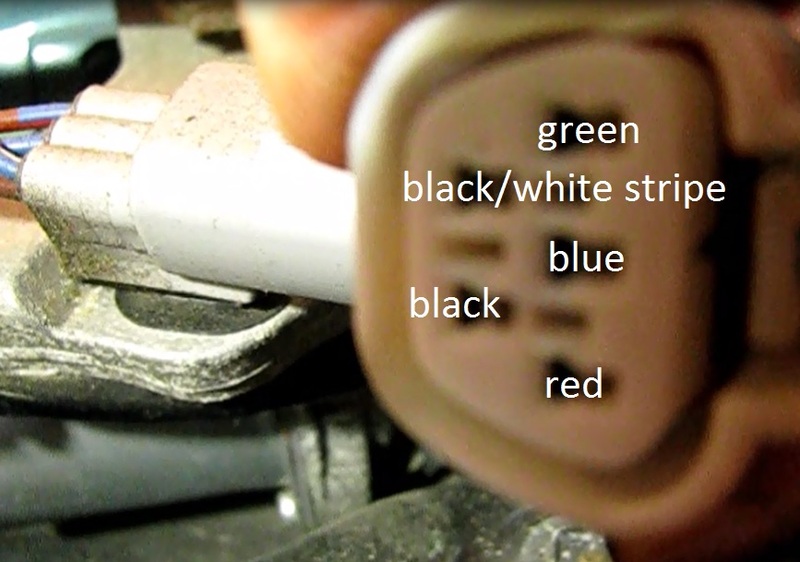 In high speed the correct voltages are Green:12V, Blue: 12V, Red:12V, White/black stripe:0V, Black: 0V. A high signal on the red wire energizes the high speed windings. 8) Unbolt the wiper assembly. Remove two 10mm mounting bolts and slide the assembly to the left until it disengages from a bracket to the rear. Remove from the vehicle. 9) Remove the motor. Note the orientation of the linkage in the "park" position. The lower link that attaches to the motor shaft will be parallel to the upper linkage. 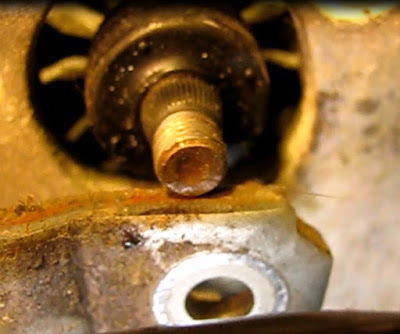 Place a 12mm wrench on the motor shaft nut and tap it loose with a hammer. Turn it off by hand. 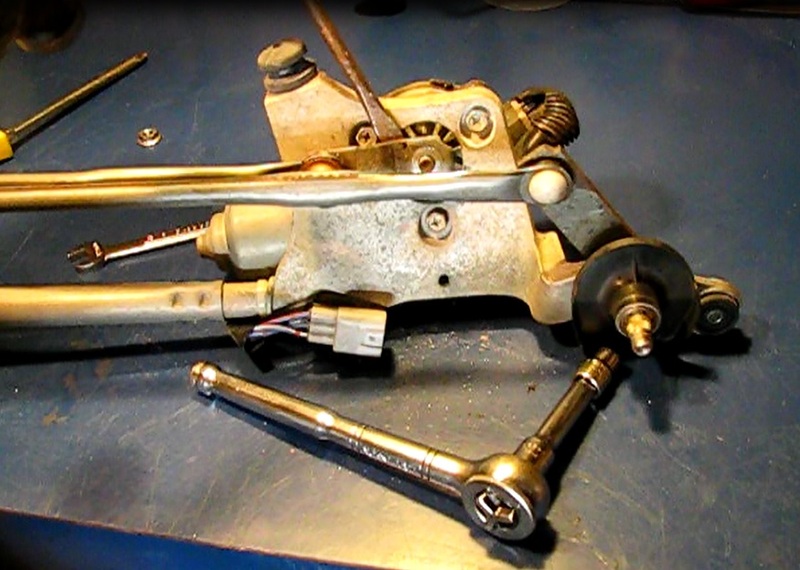 Now place a large straight blade screwdriver behind the lower linkage and tap it off the motor shaft. Unbolt the three 10mm motor mounting bolts. Remove a wire tie and wiring fastener and remove the motor from the assembly. 1) Install the three 10mm motor mounting bolts. Make sure the wiring is routed correctly and affix the plug and secure the wire with a wire tie. 2) Mount the linkage on the motor shaft. It is important to maintain correct orientation here. Remember, in the park position this linkage is directly behind, that is parallel, to the larger front-most linkage. Serrations on the linkage and motor shaft will lock these into position once seated. 3) Install the 12mm bolt on the motor shaft. 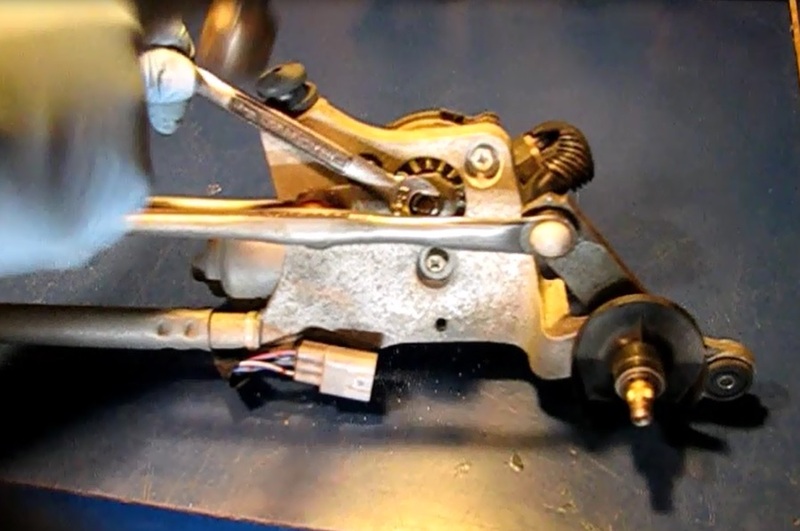 Since the linkage move as the nut is tightened, simply move it back to the park position when done. 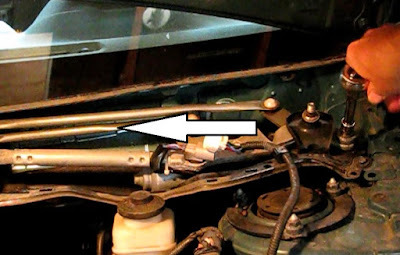 4) Mount the linkage in the car. Remember to start left and seat the rubber grommet at the rear into the slot and then move the linkage to the right. It is far enough right when the bolt holes line up with the threaded holes below. Tighten up the 10mm assembly mounting bolts. Snug them up until the vibration grommet starts to depress. 5) Plug in the wiring connector. If desired, the job can be tested now. Mount the wiper arms and run it to check operation before final assembly. 6) Mount the right side cover. First sandwich it into position with the windshield, then snap the little molded in fasteners into their corresponding holes in the metal below. 7) Snap the left side cover into place over the previously mounted right side cover. 8) Fit the brake reservoir cover and the weatherstrip back into position. 9) Install the two corner panel fasteners. Fit them together loosely first and then insert and press the center part down until flush with the outer part. 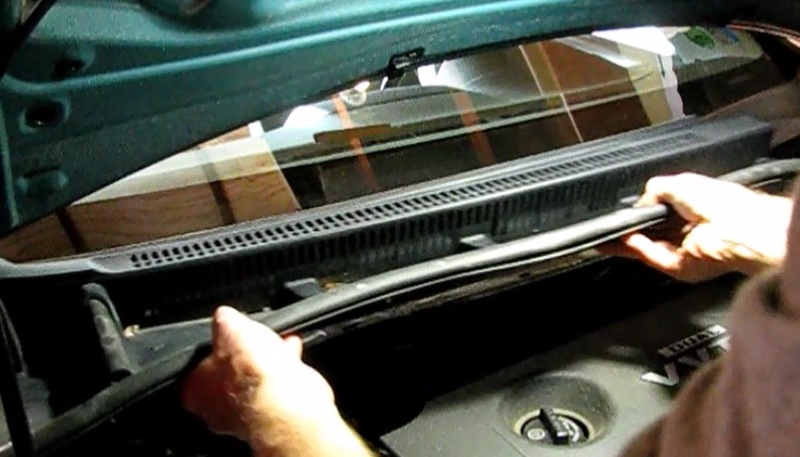 10) Install the wiper arms. Line them up with the tape on the windshield and push down on the serrated studs until fully seated. Remember, the curved arm goes on the passenger side. 11) Install the 14mm wiper arm mounting bolts. 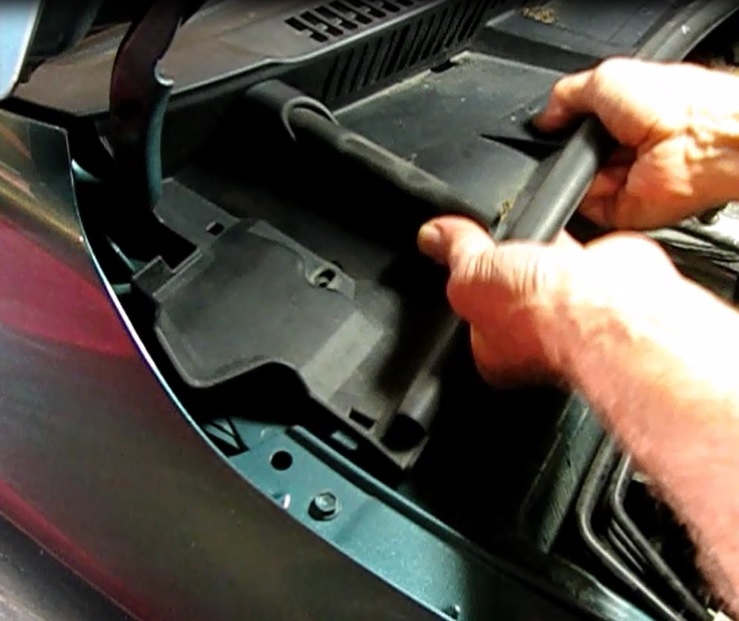 12) Install the plastic bolt covers.